Reviewing a vegetarian meal is a tough challenge for me. As tough as cooking a vegetarian meal for I can't think beyond a dish with paneer or mushrooms or an "English" vegetable curry. 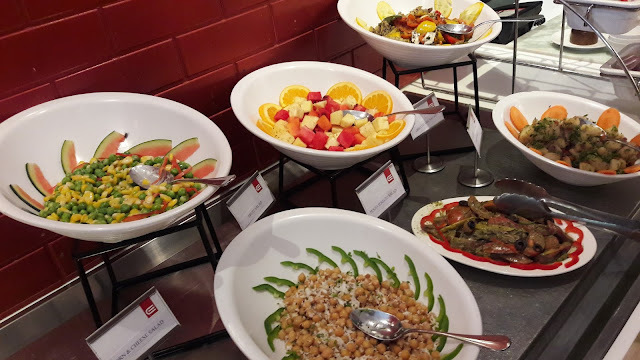 Which was the main reason I decided to attend this blogger's meet and see what a true blue vegetarian restaurant would serve at a buffet. 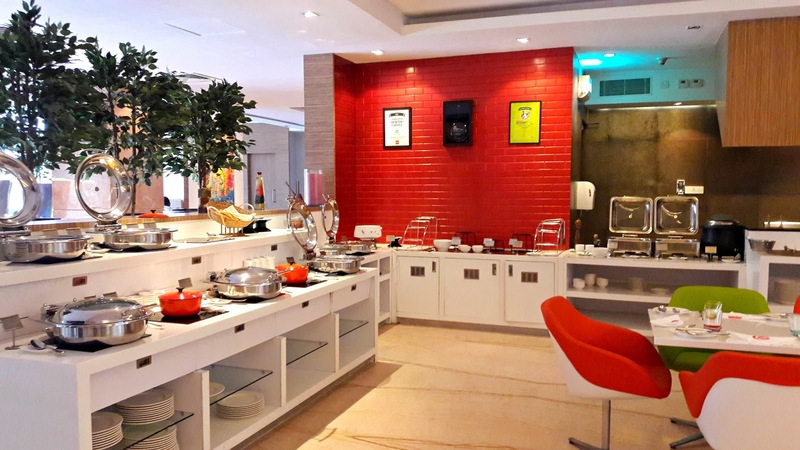 Many of us tend to miss E-Hotel in the hurry to reach one of the stores at Express Avenue Mall. The hotel is tucked away in a corner and has its own entrance. Perhaps it is the location that cocoons it from the rest of the mall. Colours catch my eye as I walk in. The lobby has an arrangement of glass vases awash with flowers and baubles in shades of fuchsia and pink. Large vats with flora, not walls, separate the lobby from the dining area and behind them is Entrée, the all day diner that has white counters and burnt orange and green chairs set around white tables. 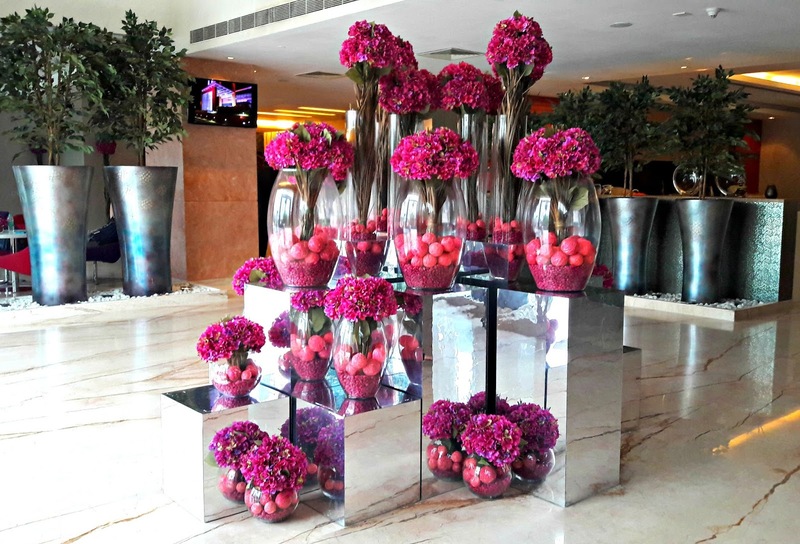 The bright colours perk up an otherwise dark space. 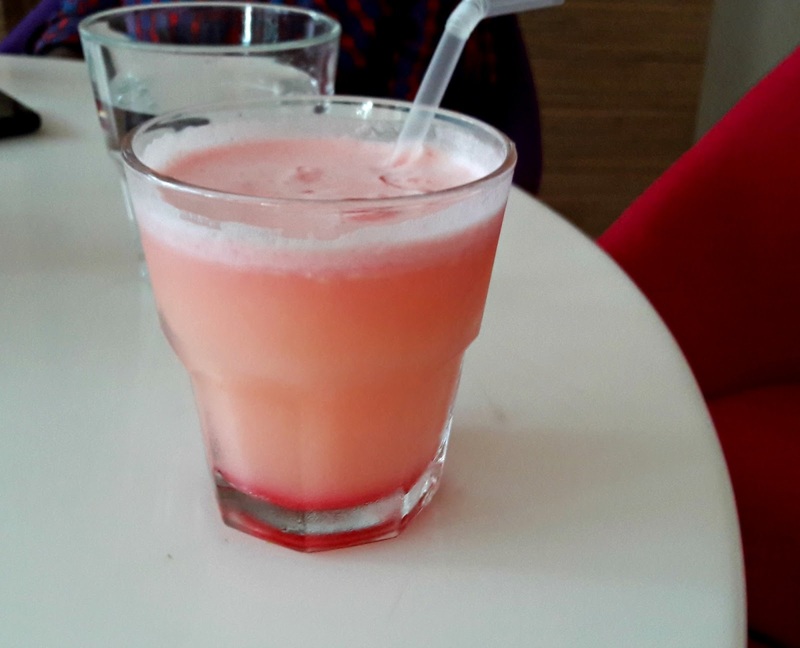 We were served a welcome drink and spent the next few minutes guessing the ingredients that had gone in. Definitely ice cream, strawberry syrup and pineapple juice. Nice but sweet! The spicy corn veg soup was gluggy with cornflour and tasted flat. The appetisers, both paneer based, had been treated much better - golden smoky flavoured cubes of paneer tikka cooked perfectly in a tandoor and croquettes made with a mix of cheeses and fried to a crisp golden brown. 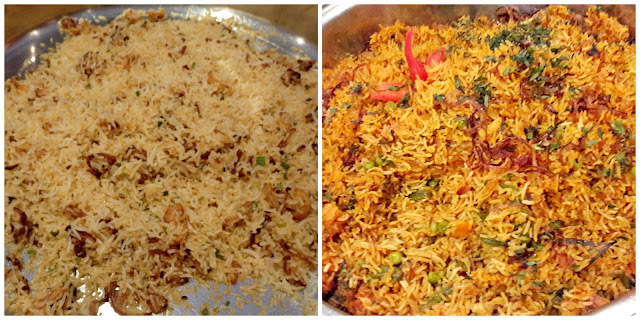 Six salads were on offer and included aloo chat, corn and cheese salad and an interesting thenga manga - coconut and mango salad. We were told that Entrée serves global cuisine. There was a dish of roast country veg, a nice pasta in Alfredo sauce and vegetable hakka noodles with sapo dumplings. The noodles were quite good but the dumplings were rather doughy. More's the pity as I did wish there was a cheesy bake to justify that section. 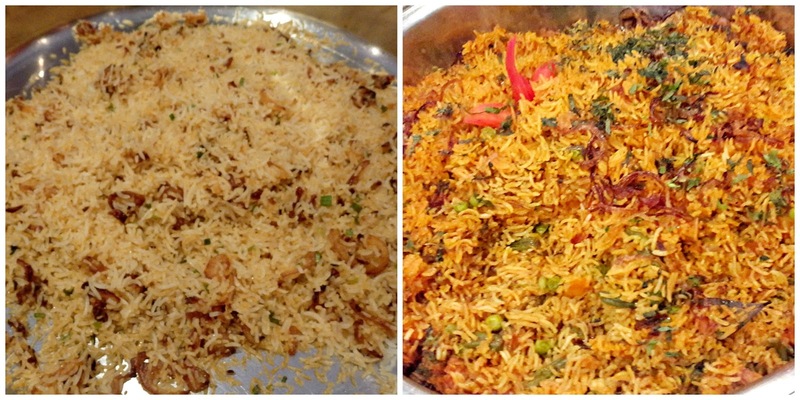 There were 2 kinds of rice - a delicious and flavourful golden onion fried rice and a vegetable biryani. 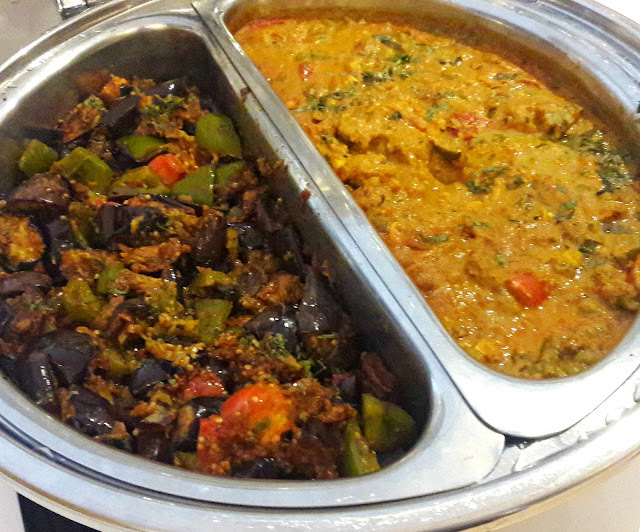 Gravy based dishes included baingan Shimla mirch - eggplant and capsicum, satrangi subzi, a mixed veg curry and papad ki subzi - a curry made with papad and yoghurt that was quite sour. There was also dal bukhara, thick with lentils. Indian breads were served at the table. They were a trifle greasy and tough. 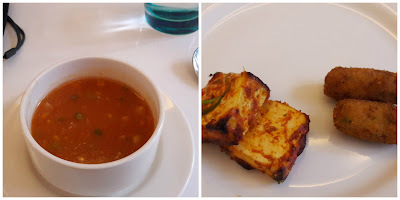 Paneer butter masala and the baby corn tempura were the other favourites. Entrée even has a section for die hard fans of South Indian food. There's steamed rice, drumstick sambar, beans poriyal and a spicy rasam. The restaurant's speciality is definitely dessert. 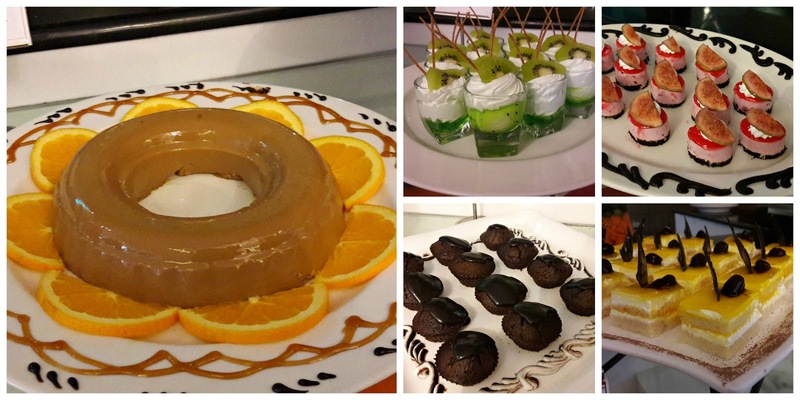 Seven were on offer and the standout was the mocha pannacotta with a lovely hint of coffee. The mango pastry and strawberry mousse were also very popular with the crowd. We loved the little decorative touches on the serving plates. Entrée is an all day diner; one can opt for either the lunch or dinner buffet at 750/ per head or choose a la carte. The restaurant has won the Zomato user choice award which is no mean feat. Do call +91 44 2846 3333 for reservations.